A book arguing that the politics of nostalgia is failing twenty-first-century Americans. Here is what makes Fractured Republic so compelling. Though he is a conservative, Mr. Levin’s overarching proposal does not presuppose the reader’s conservatism. What he calls for, in essence, is a return to the proximate. Americans must find ways, he says, to strengthen our mediating institutions that stand between the individual and government, and especially the national government—families, churches, civic organizations and so on ... Yuval Levin has written an incisive and irenic critique of contemporary American society, together with a series of reflections that offer a way forward without trafficking in the false hope of 'solutions.' That he has done so in fewer than 250 pages of clear, well-organized prose ought to make the book famous for a generation. 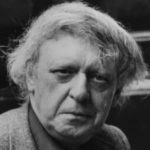 [The Fractured Republic is] a dense work of political philosophy that can be frustratingly vague and hard to get through. Yet, get through it we should. Without mentioning Trump or the 2016 race, Levin illuminates this moment in two essential ways. He explains the illusory appeal of nostalgia-driven politics in the United States, the kind that Trump stokes in coarse, simplistic terms. More important, he offers a path forward for the American right after this campaign ... Levin understands the allure of nostalgia; indeed, he believes that almost all contemporary politics is based on it...the nostalgia of the traditional political class is also pernicious and 'blinding,' Levin argues, because it keeps us from grappling with the real problems assaulting us in the age of diffusion, problems that a candidate like Trump eagerly exploits ... This is not simply an effort to strengthen federalism and the prerogatives of states vs. Washington, though Levin is a fan of that, too. He is most concerned with the thicket of institutions in the middle — families, schools, religious organizations, all the things usually lumped together as civil society ... Levin’s recommendations are aggressively vague, and where they get specific they seldom surprise. Levin aims to rescue the country from the big-­government tendencies of the Clinton and Obama administrations; and ­although he doesn’t say so explicitly, there is an unmistakable strain of disapproval for George W. Bush’s presidency here too ... Levin believes that both parties, in their different ways, are caught up in the fundamental mistake of wanting to restore such features of post-World War II America as steadily rising incomes and low economic inequality, hegemony in the global economy, growing government, broad membership in the mainstream religions and a white-bread mass culture ... His big idea is that during the first half of the 20th century, the United States created a set of large, powerful institutions that dominated national life, and then, in the second half of the century, the national culture moved away from these institutions and toward individualis ... He calls his book 'an essay,' and its main strength and main weakness are the same: It fits a vast range of material under the roof of one fairly short volume, but at the price of speaking primarily in general assertions unsupported by evidence ... Levin frequently maneuvers himself into range of specific policies — on social programs, on economic regulation, on immigration — and then leaves us to guess what he’s actually for, as if he fears that by taking a position he would lose our attention or alienate potential converts. 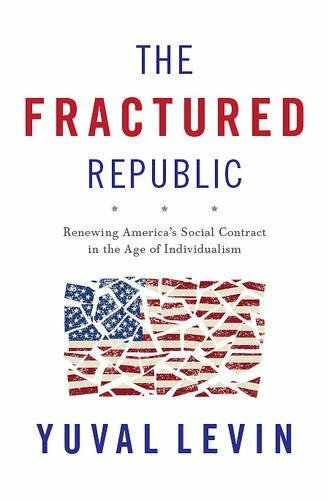 What did you think of The Fractured Republic: Renewing America’s Social Contract in the Age of Individualism?